Having problems with your gate? Our company offers a selection of services, products and solutions for your gate near you! We can fix it for you! Need any help with your gate? Schedule your service online now! 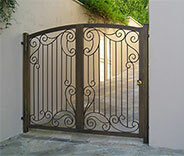 Gate Repair Los Angeles offers fast and professional repair and installation services you can count on. Contact us anytime! Popular brand names and high quality products and parts available! When you hire us - you get only the best. Get special offers and discounts for new products or other services for your gate at home or business near Los Angeles! Broken gate? Count on the fastest team near you to make sure it is fixed safely, professionally, and as soon as possible. Looking for professional gate repair services nearby? Look no further! Read all about what our team can do for you here. Is your wooden gate slowly but surely disintegrating because of rot? 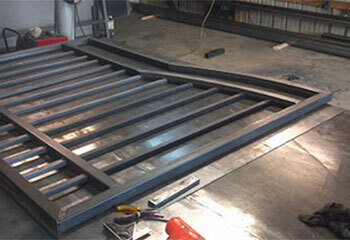 Have your wrought iron or steel gate started to sag down because of hinge welding failure? Our professional repair technicians can help. Click here to learn more. The last thing any establishment needs is to have the gate to its building stop functioning properly during peak business hours. Regardless of the issue, our commercial gate service will make sure everything gets fixed as fast as possible. Installing a new gate can be quite complex, as these types of systems can be very intricate, especially the more modern varieties. Click here to learn why our professional technicians make it seem effortless. An intercom system is a great way to increase the safety of your home and property. 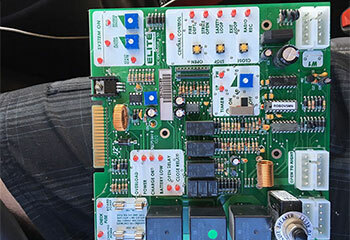 We can install a new one that will perfectly match your needs, as well as repair any issue that your current system seems to be suffering from. Whether your gate's remote seems to be acting up and needs tending to, or you need a new one, we can take care of it for you! To learn how we can help, click here. Our professionals would be happy to come out and install a brand-new sliding gate for your home or business, or repair what you already have! Click here to discover more about how we can help. Swing gates are a great way to keep your property more secure! If you're looking to have one put in, or the one you have needs service, we can help. Find out more here. Rusting is a huge problem with wrought iron gates and can weaken them over time to the point of disrepair. We can help! To find out more about what we can do, click here. Everything You Need For Your Home & Business In One Place! From choosing the perfect gate for your house and business to fixing unexpected issues – Gate Repair Los Angeles is with you every step of the way. 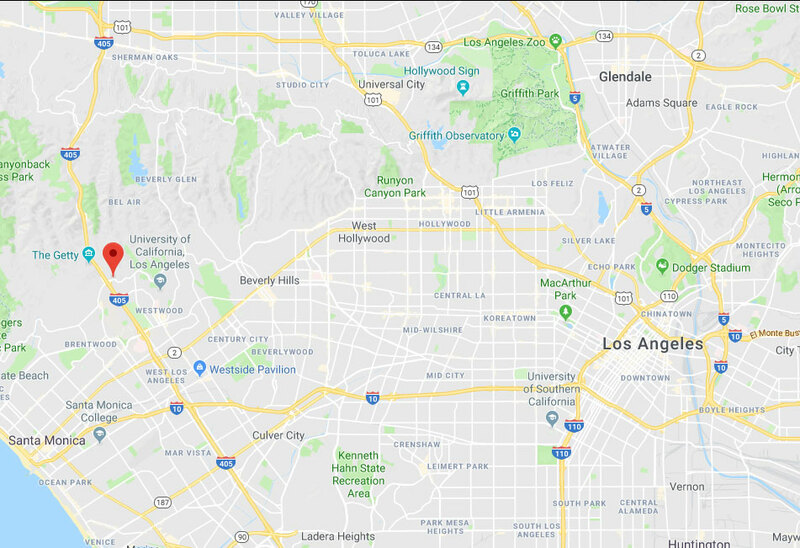 Our main goal is to make sure each and every one of our customers from South LA to Universal City get the fastest services at the best prices around. Our City of Angels – beautiful and glamorous, famous for neighborhoods such as Bel Air, Hollywood and others. However, exactly for this reason, you want to make sure your property is private and secure. Who wants a tour bus taking pictures of their front lawn? How can you tell the person ringing in your intercom system is really the pizza delivery guy and not a paparazzi or worse? Don’t find out at your doorstep – it’s always good to have a sturdy, private and secure gate to protect you and your loved ones. No matter how big you need it to be, at our company you can find custom made gates to suit any property in addition to high quality intercom systems from known brands such as Aiphone, Doorking, Linear, and more. Every business that requires storage or monitoring visitors needs a reliable electric gate. If you are thinking to have your old one replaced or need it fixed ASAP – count on our team to be there for you and get to the bottom of the issue so you can go on with your business as usual. As a company, we know how every second waisted is financially crucial, so you can count on us to make it a priority. A good intercom system not only makes communicating with visitors more convenient, but it is another way to make both your home and business more secure from unauthorized visitors. Our smart systems feature HD cameras so you can rest assured you’ll be able to identify the people, vendors, or customers asking to gain access to your property. For your home in Los Feliz or your business in Glendale – our company makes it a point to make sure your property is private, safe, and secure. When you hire our team you can be sure you’ll get the highest quality parts, the best brand names, and the fastest response when you need repairs. 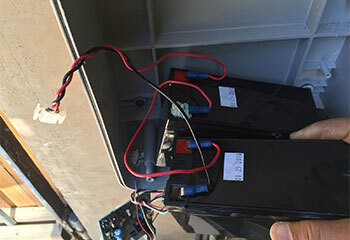 Contact Gate Repair Los Angeles any time for any question or service! Your gate is there to make sure your property is safe, secure and private. Whenever something goes wrong and you're looking for professionals you can count on and are nearby - that's us! 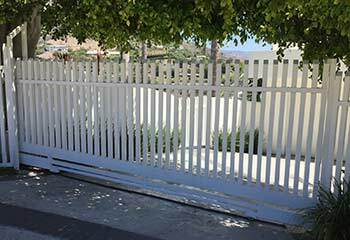 With Gate Repair Los Angeles you get the best products from new gates and openers to intercom systems, and at the best prices in the area. Contact us anytime for more information or to schedule your appointment today! See how we helped our customers with their gates by taking a look at our latest projects here below. Our company in Vernon solves all problems with electric gates. Discover how we helped a customer recently. 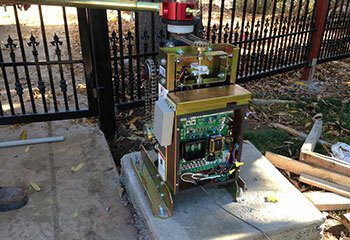 Get a better idea of the installation service of our gate company in Ladera Heights by reading about one of our recent projects. 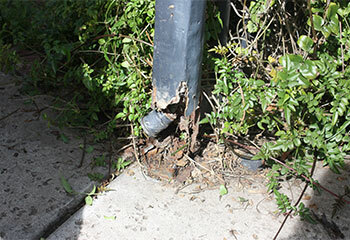 Swing gate post problems like the one experienced by our customer are very serious and require professional solutions. Even if a single component fails, the gate operator can stop working. Find out how we solved the problem for our customer. 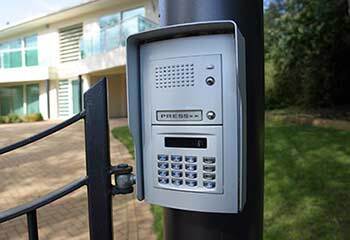 Find out how we installed a new gate intercom for our customer. Read all the details here! 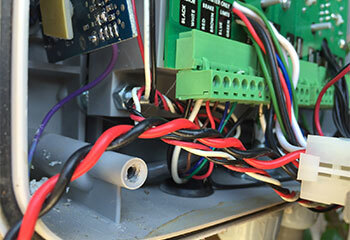 When your electric gate doesn’t open or close properly, we can fix it. Learn how we helped a customer with this issue. Trouble with your gate operator? Our experienced company can solve the problem like we did for Mr. Roberts. No matter what problem you have with your electric gate, we can solve it! Count use like our customer did. 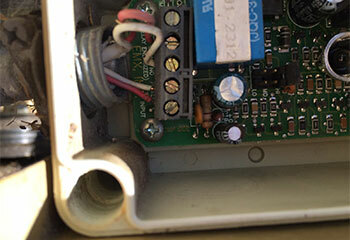 Find out how we fixed the intercom of our customer. If you also need professional repair, give us a call. Thank you for repairing my driveway gate as such short notice. I definitely recommend your company strongly for the quick response, professional work and reasonable prices. You are the best! Excellent gate repair service! I appreciate the quick response and the meticulous work. The price was more than reasonable. I’d hire your company again in case of a problem. I’m more than satisfied with your gate repair service. You solved the problem even more quickly than expected and now my gate works smoothly and quietly. You deserve five out of five stars! 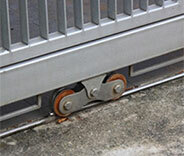 HAVE YOUR GATE REPAIRED WITHIN A DAY! Schedule online today to get your 10% discount. All you need for your gate is right here nearby! From installation to repairs, our experts are at your service, offering a wide selection of products, services and solutions. Looking for a new opener? A new intercom system? Give us a call! Browse our website to learn more or click here. Our technician will contact you before arriving. Until then, feel free to browse our website! Gate Repair Los Angeles is at your service!